Reservations were handled efficiently and accurately. The itinerary was excellent. Choice of hotels and other amenities was excellent. Bus driver was careful, courteous and fun. Tour manager was generally good, but on occasion gave incorrect information. When the hotel that we had been scheduled into was suddenly unavailable, Collette did an excellent job of providing alternative accommodations. While the hotel wasn't quite as nice as the one originally scheduled, the little added perks (extra stop at Natural Bridge and extra gondola ride) certainly made up for any minor inconvenience. Had a wonderful trip! Scenery was breathtaking. All the motels and meals included were excellent. Tour guide was very professional and knowledgeable of the area traveled. Bus driver was very nice too and a great driver. A lot of photo opportunities. We would differently recommend Collette to others and hope to go on another trip with them in the future. All the places we went were great. I especially liked Banff. Staying at the Banff Springs Resort (castle) was my favorite. The place is so big and beautiful with so much history. I loved the town. Great places to shop too. Very relaxing too since we did not have to drive and handle our luggage. Felt the service was excellent. We paid for our airplane our self and could not figure out why the flights were more with your service. Not until we purchased our transfers did we understand that the $100 difference in flight expense was for pickup to and from the airport. They rep should explain the cost of flights a little better. The beauty of the glacier feed lakes were amazing. Loved the whole experience. Also the rainbow with the waterfall. Loved seeing the black bear and cubs, grizzly bear and other wildlife. Beautiful waterfalls. Loved the great food, hotels and the tour guide. I would recommend this trip to everyone! It was very well planned out. A great pace for our age! Lake Louise and Banff was favorites. Beautiful waterfalls! The train was a great experience and the tour manager made it fun. As a package tour it was fantastic. From Vancouver to Calgary and everything in between it has been one of my best trips ever. I live in Sedona AZ which is a GREAT place to visit. Trip was a great value. This is our 5th trip with Collette. They do a wonderful job and really give you your money's worth. Our guide Karina is an excellent example of what Collette offers. She was knowledgeable and fun. They took care of every detail and made sure we got to see some amazing sights. My most memorable experience when the tour bus parked so we could observe bears cubs climbing up and down a tree. This is by far one of the best Collette Tours. The Canadian Rockies was a first class trip and it was especially good because of our tour director. This is my third trip with Collette but this was the best. 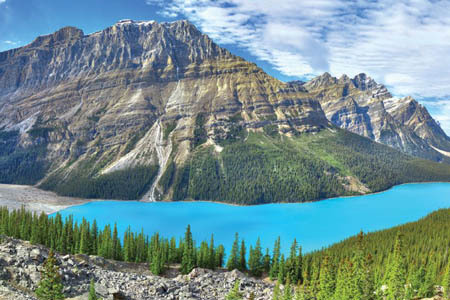 The favorite experience was the overnight train ride from Vancouver to Jasper and walking on the glaciers. Majestic mountain scenery, good food and travel companions!! All agents were very friendly. If they did not know the answer to my question, they checked with a supervisor. They did not have correct information on customs procedure at Toronto Airport, which took a lot of time to complete before we reached our gate just before the plane door was closing. 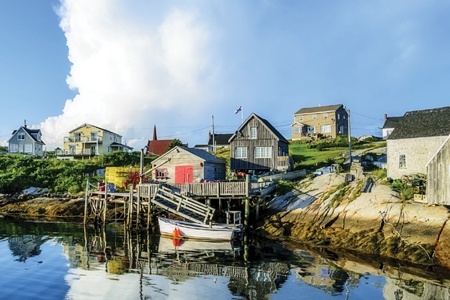 The scenery, the tour mgr., the fine hotels all made this one of my best travel experiences. The sleep over on train was an adventure, & the first time for me. We were fortunate in that a blizzard two days before arrival blanketed snow all over the mountains, which made it more picturesque. Jasper was outstandingly beautiful. The lakes, rushing rivers and glaciers were awesome. Lake Louise was exquisite in every detail. The hotel was elegant, the meals top notch and the service outstanding. Banff also provided the elegance and grand scenery. I've been to Alaska, but I would rate this trip just as high in natural beauty and splendor. Collette is a fantastic tour company. All details were taken care of so all I had to do was enjoy the trip. I had always wanted to go the the Canadian Rockies and Collette made this a memorable trip. We stayed in 5 star hotels, had delicious meals, etc. Every little detail was handled by Collette and our EXCELLENT tour manager. I especially liked Lake Louise and also going out onto the Columbia Glacier. I would highly recommend this trip to anyone contemplating visiting the Canadian Rockies. Our Tour Manager, Sara Swanney, made the trip with her intelligence, personality, ability to get along with 43 raners and wit. Our driver,Roy, was also excellent. He and Sara proved to be a caring, fun knowledgeable team. From the moment I arrived at Vancouver airport the service I received was first class. The only slight imperfection was that on the train between Vancouver and Jasper. The brochure indicated that we would be travelling on a train that had panoramic views in all of the carriages, this turned out to not be the case. The train we were on had only three observation cars. Geoff our courier did an excellent job in getting us to each destination on time and was extremely knowledgeable and also kept us amused with various titbits that he passed on. All of the hotels I stayed at were superb. Geoff the tour manager was excellent. Bruce our driver on the coach was very courteous and helpful. The best moment for me was seeing three black bear youngsters. 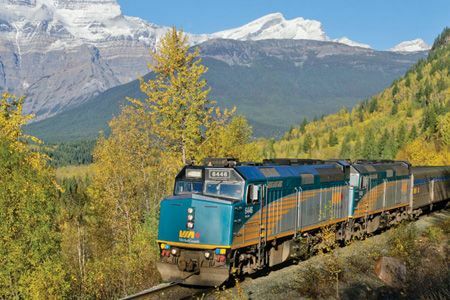 Discover the lush green western Canadian coast and the natural beauty of the Canadian Rockies on a tour featuring VIA Rail's overnight train journey. Experience the world's largest rodeo, the Calgary Stampede! *Breakfast at Maligne Lake is only offered from June 1 to September 30 – a hotel breakfast will be supplied as an alternative on other dates. ***The Chuckwagon race excursion is a pre-sold option and must be purchased before April 30, 2019 in order to guarantee availability. 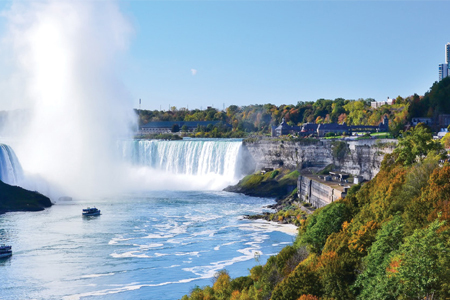 Train schedule and sightseeing while on VIA Rail is subject to change.